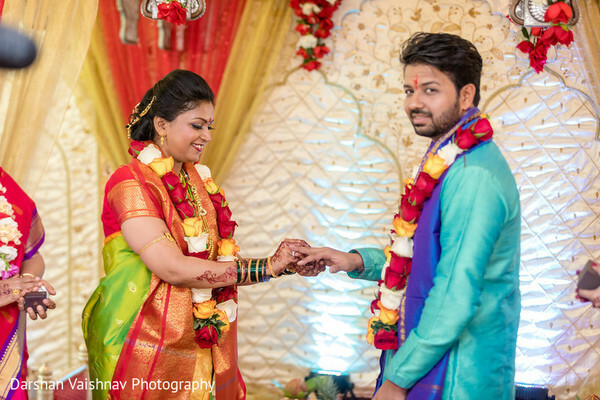 Welcome to the adorable Marathi matrimony of Sai and Abhishek! 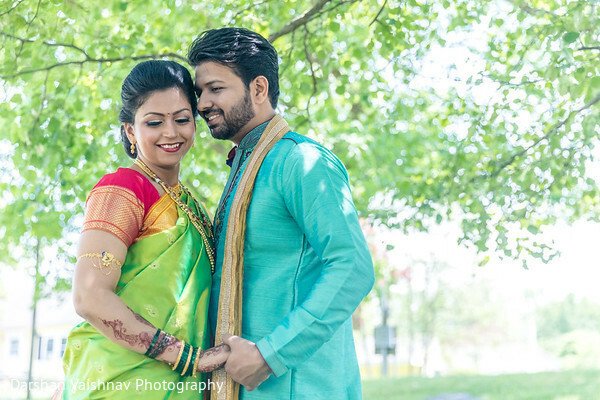 The lively spirit of this intimate affair is a delight to watch and some of its unique elements are brought to us by the stunning imagery from Darshan Vaishnav Photography! 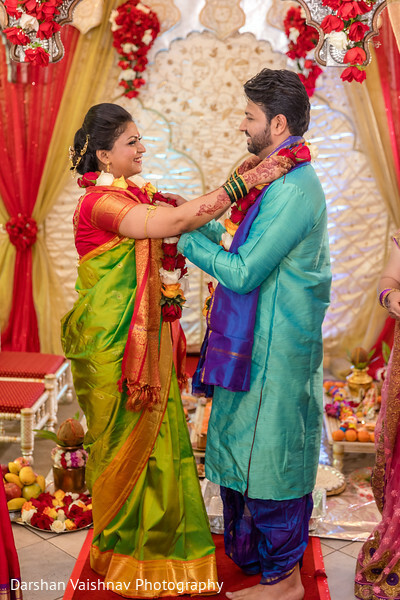 The beautiful bride Sai prepared a vibrant colorful ceremony silk saree with the help of the beauty pro team of Shruti's Beauty & Bridal Salon who draped and tied the trousseau in the classic traditional way! 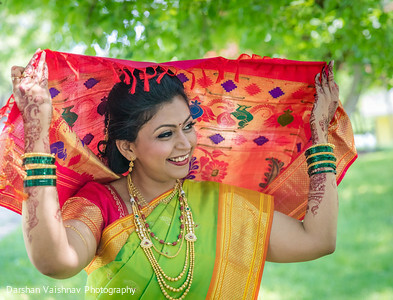 Our Maharani combined her intricate low bun with an exquisite set of hairpieces while her fresh makeup accentuated her nath. 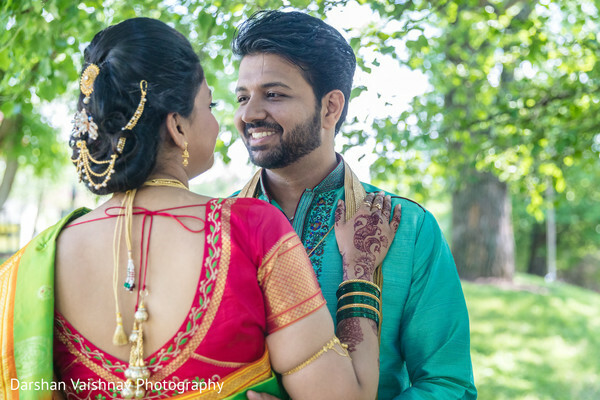 It was a beautiful day to take the plunge and an intimate ceremony was held at ISKCON of DC just for this purpose. 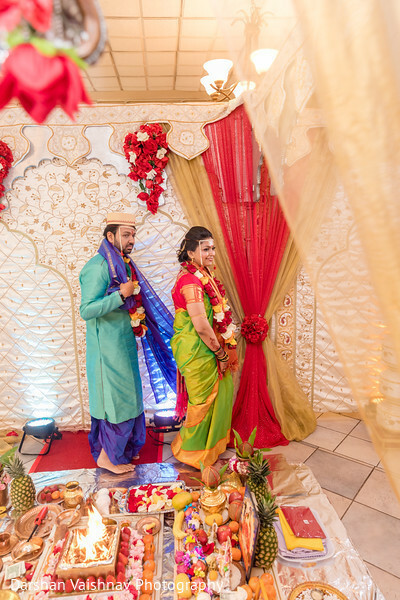 Liz Decoration provided a truly inviting feeling to the venue with a unique mandap that displayed an infinite number of elements for the ceremony rites! 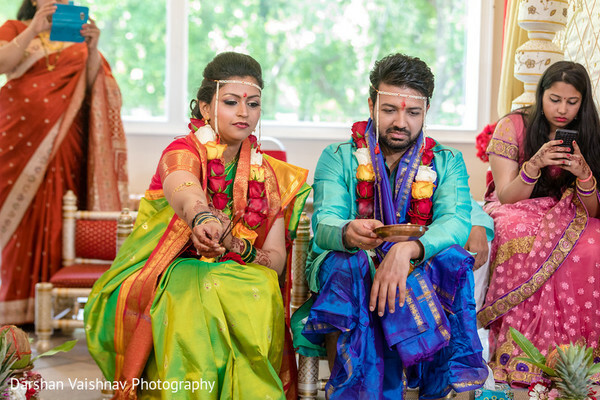 A pearl-stringed mundavlya was tied across their forehead and they were finally declared husband and wife in front of a small congregation of family and friends! 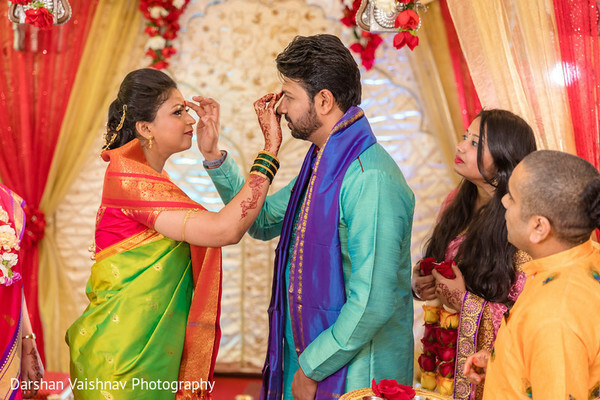 Find the best Marathi wedding ceremony pictures in our full gallery! 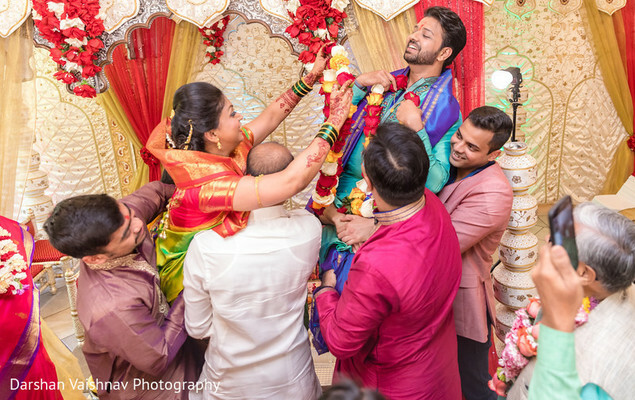 All the candid images of the reception are around the corner! 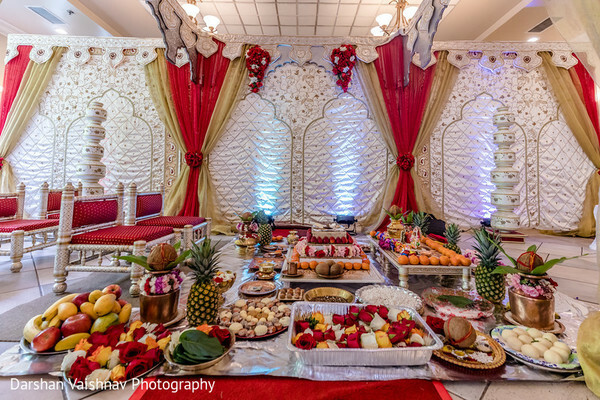 Check our following feature.